Starting this month, PS3 and PS4 owners won't need to own the full version of Assassin's Creed IV to play its excellent Freedom Cry DLC. Ubisoft's just announced that they're releasing the Adéwalé-focused add-on as its own standalone release on February 18th. Make fun of the Black History Month timing all you want, but this is a smart move. 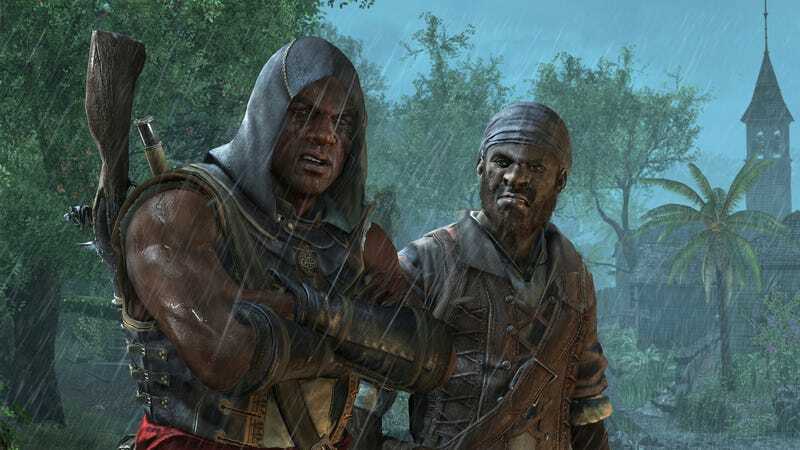 When I wrote about the way Freedom Cry impacted me after playing it, lots of friends—some of whom don't frequently play video games— asked me if they needed to get the main ACIV releaseto play. So, the interest is definitely there. Out on Feb 18 for PS3 and PS4 and on Feb 25 for PC, Freedom Cry will cost $15. If you're wondering what the experience is like, you can find out more about it here.